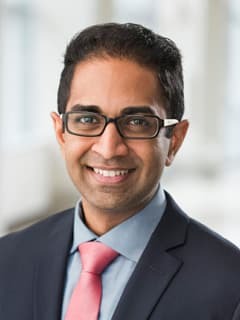 Abhay S. Patel, PharmD, MS, is a residency preceptor with the Pharmacy Residency Program and a pharmacy manager for ambulatory services at Children's Hospital of Philadelphia. Patel A, Wagner J, Hollier L. Improved Patient Experience through Expansion of Pediatric Outpatient Pharmacy Services. Case Study. NEJM Catalyst. 2016 Nov: 5-9. Patel AS, Wagner JL, Choi JJ, McCarthy JG, Lopez RI, Fernandez JM, Hollier LH. Evaluating cost savings and patient benefit from the 340B drug pricing program through expansion of pediatric outpatient pharmacy services [platform presentation]. Texas Society of Health System Pharmacists Alcalde Conference; April 2016, Frisco, Texas. McDade EJ, Patel AS, Ruiz FE. Safety of High-Dose Colistin Therapy in Pediatric Cystic Fibrosis Patients. North American Cystic Fibrosis Conference; October 2015, Phoenix, Arizona.